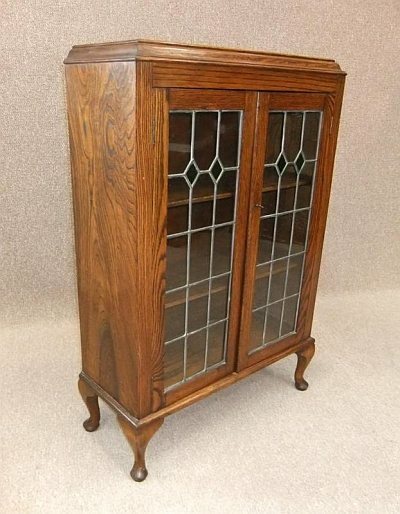 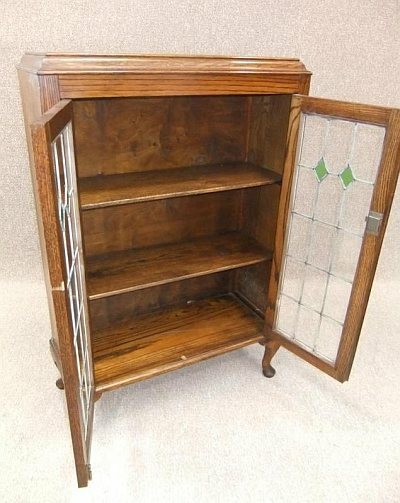 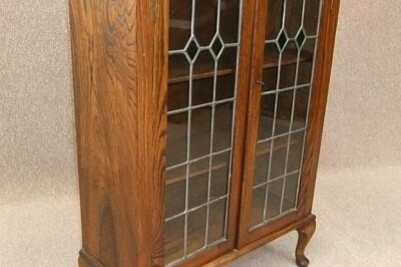 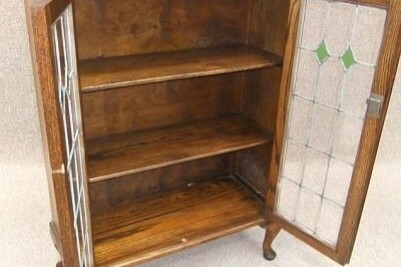 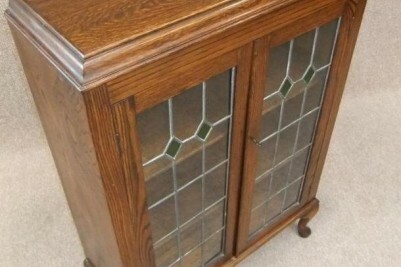 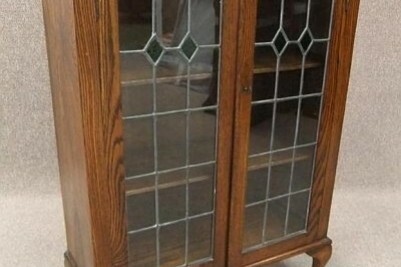 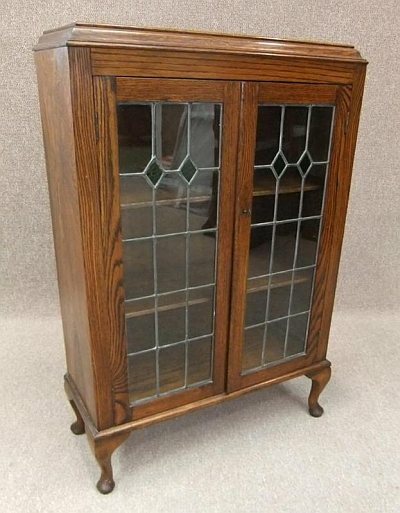 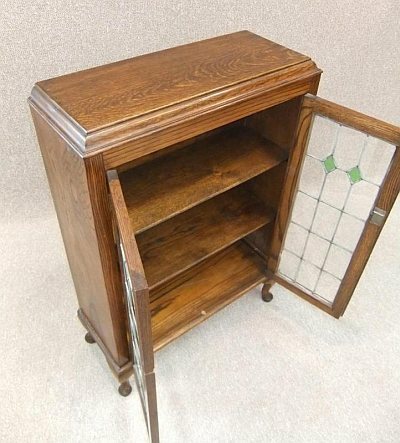 A lovely 1920’s Oak glazed bookcase. 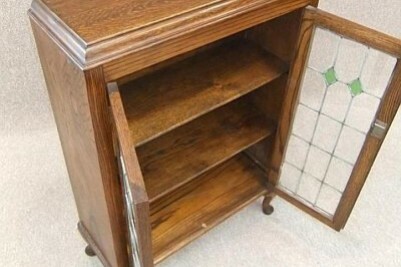 This piece features leaded doors which open up to reveal internal shelves; ideal for books, stationary, CDs, DVDs etc. 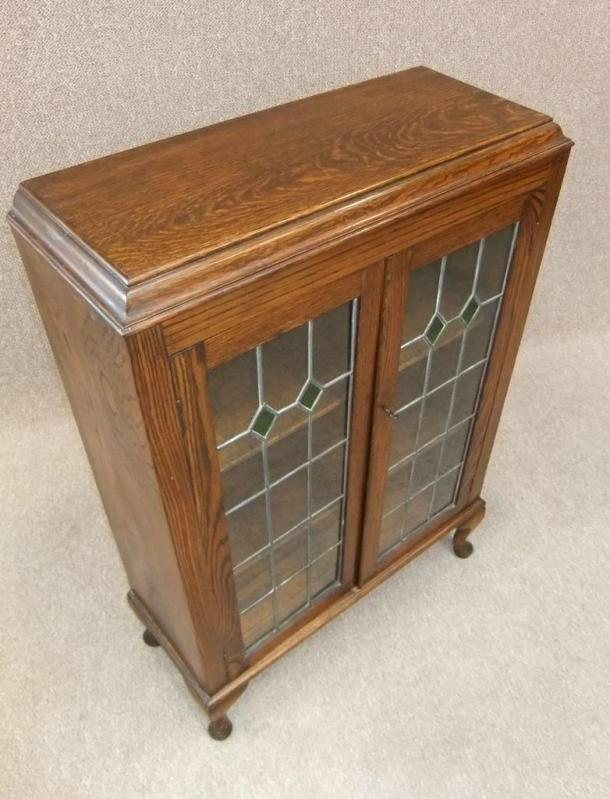 This item is in good condition for its age, and is in a lovely medium oak colour; ideal for any period property.